In the mid 1800s, Captain Henry Harding Tift left his home in Mystic, Connecticut for the piney forests of South Georgia to harvest timber for the family shipbuilding business. Little did Captain Tift know that the sawmill he built to prepare the lumber for shipping and the train tracks that were laid to ship the lumber would be the beginning of Tifton, Georgia, presently know as "The Friendly City" in keeping with its traditional Southern hospitality. Tifton, originally known as Tift’s Town, was incorporated on December 29, 1890. Capt. Tift and his associates adopted the same town layout that Mystic, Connecticut had, with even numbered streets running east and west as one traveled north from the center of town, and odd numbered streets following the same suit as one traveled south. Tifton had no town square, and the city was crisscrossed with rail lines, all heading from the center of town like spokes on a wagon wheel. At the turn of the century, a thriving community had evolved from the pine forests and electrical lighting was the rage. The Myon Hotel, built in 1906 was labeled as the grandest hotel south of Atlanta (This beautiful building still stands in Tifton today and serves as home for The City of Tifton, and its administrative offices.). The once dirt roads were paved; and opportunities for commerce continued to grow. Progress met the south when President Eisenhower proposed a new road system that would allow travelers to get from place to place in record time. He would call it the interstate system and it began, right here in Tifton, Georgia. Tifton was growing and changing, like other small towns across America. Some changes weren’t so good, and the communities focus on town activities shifted from the town center to the new suburbs, causing a lost sense of community. However, Tifton and some of its "old timers" saw hope for its resurgence, and today Tifton is listed in "The 100 Best Small Towns in America," by best selling author Norman Crampton. The nomination is due to its economic growth, low crime rate, excellent schools, and high percentage of college-educated residents. Abraham Baldwin Agricultural College also known as ABAC consists of 516 acres right here in Tifton. ABAC is a State College of the 35-member University System of Georgia and now offers bachelor’s degrees as well as associate’s degrees. 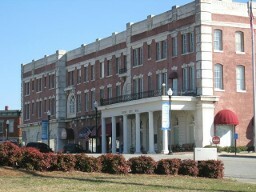 Tifton is also home to The Georgia Agrirama, the state’s official museum of agriculture. It is a living museum consisting of 95 acres where interpreters have shared Georgia’s rural 19th century lifestyle since opening to the public on July 1, 1976. More than 60,000 people visit the museum every. 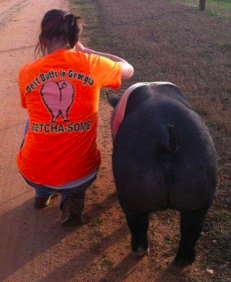 In 2010, administrative control of the Georgia Agrirama moved from the Georgia Agrirama Development Authority to Abraham Baldwin Agricultural College. The Georgia Agrirama has also been renamed the Georgia Museum of Agriculture and Historic Village of Abraham Baldwin Agricultural college. Tifton is strategically located just 3 hours south of Atlanta. Tifton can easily be reached by I-75, US 319, US 82, and US 41. Tifton is the central to all that is spectacular in Georgia and North Florida. Today, Tifton has 15,000 plus residents, and serves a seven county area, which is to be named the next regional hub in South Georgia. 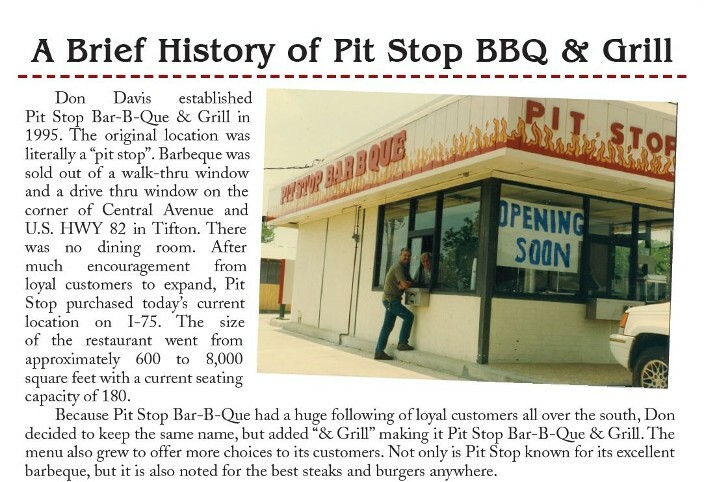 The owners and staff of Pit Stop Bar-B-Que & Grill welcome you to Tifton and hope you enjoy your stay and your meal. 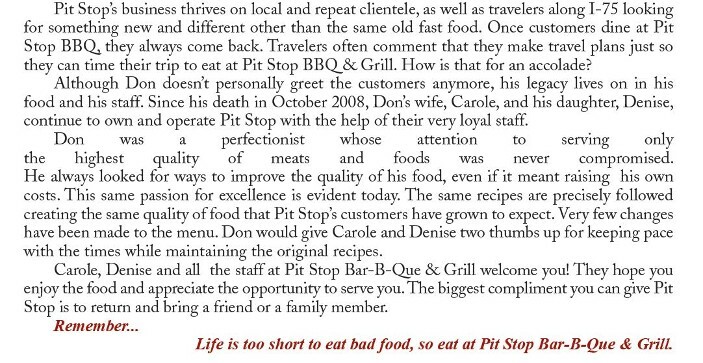 We appreciate your business, and whether you live here or not, we hope you visit us often.